Ana is an Assistant Professor in the Department of Curriculum and Instruction at the University of Massachusetts-Boston. 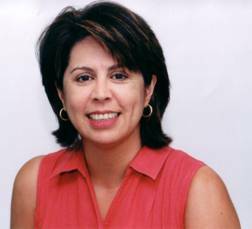 Ana holds degrees in Applied Linguistics, TEFL, and TESOL and taught EFL/ESL for many years. She is interested in using qualitative, interdisciplinary, and comparative research perspectives to improve the education of bilingual/multilingual immigrant and refugee children in top migrant destination countries. This entry was posted in Uncategorized on April 1, 2015 by Ana Solano-Campos. This entry was posted in Uncategorized on January 31, 2014 by Ana Solano-Campos. This entry was posted in Uncategorized on December 30, 2013 by Ana Solano-Campos. This entry was posted in Uncategorized on October 29, 2013 by Ana Solano-Campos. Dr. Lawrence Jun Zhang is Associate Professor of Language and Literacy Education/Applied Linguistics & TESOL in the School of Curriculum and Pedagogy and Associate Dean of International Strategic Engagement for the Faculty of Education at the University of Auckland, in New Zealand. His research program spans cognitive, linguistic, sociocultural, and developmental factors in reading/biliteracy development, critical reading awareness in language education, metacognition, self-regulated learning (SRL) and reading development in L1 and L2 contexts, bilingual/biliteracy acquisition and bilingual/biliteracy education in primary and secondary schools, and learning and teaching English as a second/foreign language at university settings, the effects of self-regulated reading- and writing- strategies-based instruction (SBI) on bilingual/biliteracy development, and teacher identity and cognition in language teacher education. This entry was posted in Uncategorized on August 28, 2013 by Ana Solano-Campos. This entry was posted in Uncategorized on June 28, 2013 by Ana Solano-Campos. This entry was posted in Uncategorized on May 31, 2013 by Ana Solano-Campos.